Constant stress quickly becomes a chronic problem in the lives of people. All the rushing, buzzing and business make it difficult to calm down and relax properly. And yet, this downtime is very important for your health and your well-being. If you ever felt fear or angst, one thing your surroundings might have suggested is to “take a breath”. This is a healthy advice, as you tend to stop breathing properly during those times. In this article, I share a very easy breathing technique to give you the chance to relax quickly and change your well-being for the better. The technique I like to introduce is box breathing. Before I explain the technique, I’d like to explain what happens if you feel constantly afraid or rushed. You start to breathe shallow and might even start to breathe more and more through your mouth. Both shallow and mouth breathing indicates your sympathetic nervous system that you are in a situation of stress and potential danger. This is a crucial mechanism of survival. This signalled your brain that you need to get ready for a fight, flight or freeze. There might have been an opposing tribe invading your tribe, or a predator ahead. The body gets now ready to survive and the shallow breathing, especially through the mouth, fills up your system with a lot of oxygen. A useful mechanism for our predecessors and a big problem for the modern human being, because the present day human body and mind cannot distinguish between a real life-threatening event and only an imaginary or perceived one. Most people, unfortunately, tend to live constantly in the latter version and therefore overstressed their system. Researchers suggest that chronic stress and thus a constant activation of the flight, flight or freeze mechanism, can lead to high blood pressure, cause brain changes and thus potentially contribute to addiction, depression and anxiety. Furthermore, chronic stress can cause weight gain and obesity. This can happen directly by people eating more or indirectly by a decreased amount of time spent on exercise and sleep (see here). One direct impact on all of those problems and mechanics is your breath. The moment you take control over it, you have the ability to actively and quickly reduce your stress levels. By doing this you can manage a difficult situation easier and reduce the chances of having above problems or reducing them. The rest can be reduced down to applying variances of speed and hold of your breath. This will signal your sympathetic nervous systems to calm down because no immediate or potential danger is ahead and activate your parasympathetic nervous system (signaling that it’s time for rest and digest). One of those techniques is called box breathing or also four-square breathing. It is a technique of deliberately slow and deep breathing. This can have several effects. Mainly it can dramatically reduce and relieve stress. But it can also increase overall concentration or performance. It can be used under plenty of circumstances. As preparation for a test, during yoga, or in mediation for instance. Or a deliberate stress reduction practice. The technique is simple and consists of fours steps, thus the name box breathing or four-square breathing. This is the setup of the exercise. it upright and through your nose, breathe out slowly and deliberately until you emptied your lungs completely. Focus only on this and create awareness of the process and what you are doing. Now again through your nose, take a deep and slow breath. During this time start to count to four and become aware how your lungs fill with air and how this expands lungs and belly. Now you hold your breath while you count again to four. Next, you inverse and breath out through your nose, while counting slowly to four again. Feel and experience how the air leaves your belly and your lungs completely. Finally, you conclude the cycle by holding your breath again. Count slowly to four and re-start the box at step 1. Repeat the cycle for 10 rounds and you will feel surely much better already. You might feel some dizziness at the beginning of your practice but over time this will subside. This is absolutely normal. If it happens, simply sit still for a minute and restart the practice. Be patient and in case you feel too dizzy, try to reduce the count by 1. 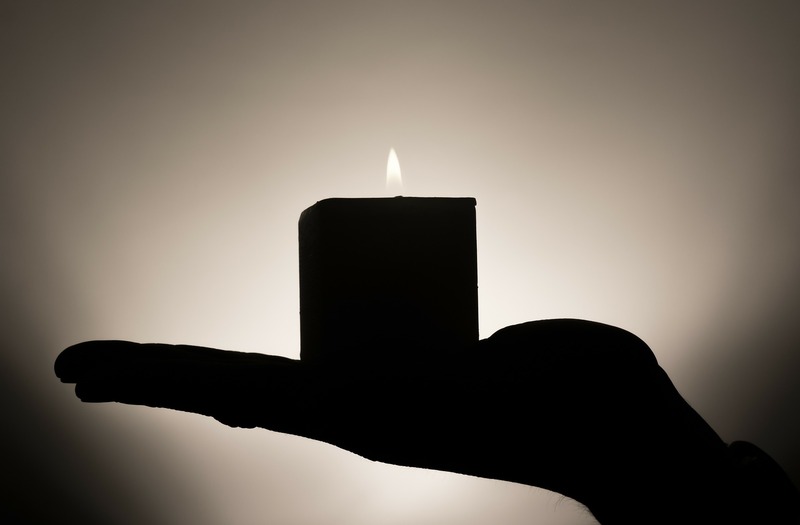 To help you further you can start the practice in a dark and quiet room. this will make it easier as you are less easily distracted and can focus completely on your box breathing practice. Over time you will get better at box breathing and you can start to increase the intensity of the practice. There are two ways of doing so. You either increase the count for each step or you incorporate it into movement, like a walking meditation. Only start with the more difficult versions of box breathing if you are able to do the 4 counts without any form of anxiety, breathlessness, dizziness and while standing. Either way, always be careful. Here are a few key benefits of a constant box breathing practice. As meditation and mindfulness practice, it takes some time until the full scope of benefits will impact you. But I am sure you’ll feel the first few benefits after the first few rounds of practice. Let me know how box breathing worked for you. It helped me a lot over the past couple of months and I sincerely believe it can help you too. If you encounter any problems, let me know and we take it from there. Do you have other techniques you enjoy or practice? Please share them with me too. At last, please share this article if you or someone you know can benefit from it. 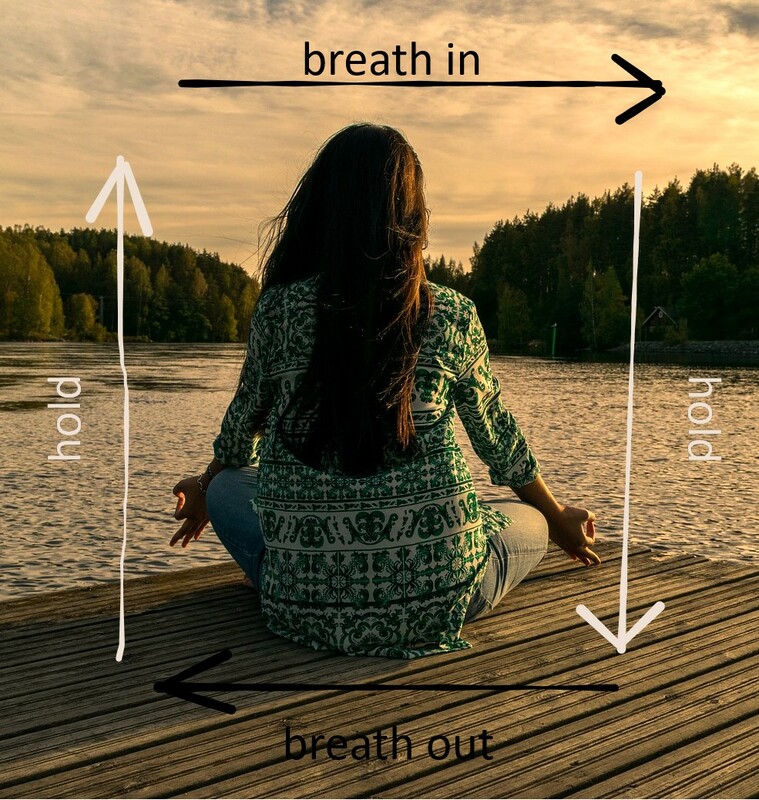 This entry was posted in Biohacking, How To, meditation and tagged biohack, box breathing, breath, meditation, stress by Stefan. Bookmark the permalink.